Parliament will reconvene on December 3. While the priority focus will be on marginal tax rates for the middle class and those making more than $200,000, it's worth paying attention to a proposal that was a key promise from the Liberals: rolling back TFSA contribution limits from $10,000 to $5,500. Just moments after being sworn in as our new Prime Minister, Justin Trudeau and his cabinet announced that Parliament will reconvene on December 3 and immediately turn their attention to taxes. While the priority focus will be on marginal tax rates for the middle class and those making more than $200,000, it's worth paying attention to a proposal that was a key promise from the Liberals: rolling back TFSA contribution limits from $10,000 to $5,500. In July, you heard from me about what a TFSA is and that Canadians are largely unsure of how TFSAs work. This is why the election season debate about contribution limits was so interesting to me -- while the majority of Canadians are unlikely to have a spare $10,000 they can readily deposit into a TFSA, it is still a valuable savings vehicle we need to consider. TFSAs and RRSPs are a critical part of long-term tax planning, regardless of your income. It's about doing as much as you can now to put money away for later in life. When talking with clients, I find that everyone is more inclined to ask about RRSPs than TFSAs. One of the biggest misconceptions is that TFSAs are typically for older people in a higher income tax bracket with extra money to invest. The truth is that TFSAs can be more appealing to young Canadians who are just starting out precisely because they are in a lower tax bracket. In the simplest terms, they put money away now and pay tax on it while they're in a lower income tax bracket. Over time, money in their account grows and they can withdraw it when they're ready without worrying about being penalized for being in a higher bracket later in life. It is always great to start early in life when saving for the future. Let's take a look at John and Steve to show you what I mean. John is 25 years old and working at his first job as an ad agency associate. He creates a plan to put away $100 a month for 10 years into a TFSA. By the time he reaches 35, he'll have put away $12,000. Steve, meanwhile, is a 40-year-old father of two working as a manufacturing plant manager. As he looks ahead to his retirement future, Steve wants to make sure he has some cushion to support his kids' university tuitions, plus a little leftover for his retirement. So he decides to start putting away $100 a month and commits to doing so for the next 20 years, which will amount to $24,000. In both instances, savings will be calculated at six per cent compound interest. Who comes out ahead by the time they reach 60? Interestingly, John does. Using a six per cent compound interest rate, he will have earned approximately $59,948 in interest, bringing the value of his TFSA to $71,948 ($12,000 + $59,948). Steve still does well for himself, but only earns approximately $22,435 in interest income, bringing the total value of his TFSA to $46,435 ($22,435 + $24,000). Why is John coming out ahead even though Steve is putting away more? Because John is saving for a longer period of time, which means that his money is compounding longer. Thanks to compound interest, money growing at six per cent a year will double in about 12 years, then be worth four times that in 24 years. Of course, this assumes that John and Steve are simply putting money away and doing nothing else with it. Another great thing about TFSAs is that money is not in a registered plan, so if you need it, it is available. But that's a topic for another day. 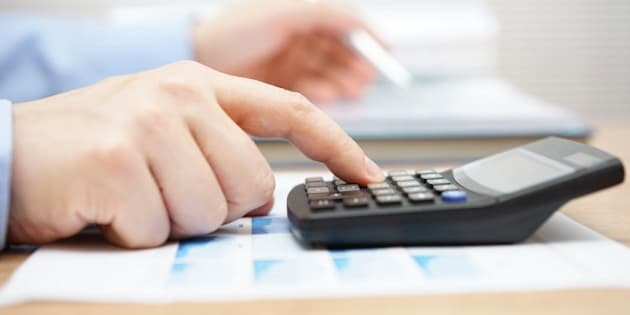 Returning to the election and the impact on a person's tax filing situation, Canadians will be hearing a lot in the months ahead about the proposal to roll back contribution limits from $10,000 to $5,500. For now, the limit will remain at $10,000 per year until the new government introduces legislation to change it. Even if this happens when Parliament is recalled in December, it is unlikely that they would make it retroactive for 2015 and force people to withdraw what they have already put in. Changes in contribution limits will affect your tax and savings plans, so pay attention to this issue. Regardless of when the changes happen, and whether you are putting away $10,000 or $100 a year, TFSAs are still an opportunity to let your savings grow in a tax-free environment. And that's something I think we can all celebrate, heading into a new year and a new chapter in Canada's future. TFSAs: A Gift To The Rich?